You are currently browsing the Suburban Homesteading – Frugal Living blog archives for November, 2014. Sounds funny doesn’t it, learning how to build a fire. Can’t everyone build a fire? Probably. 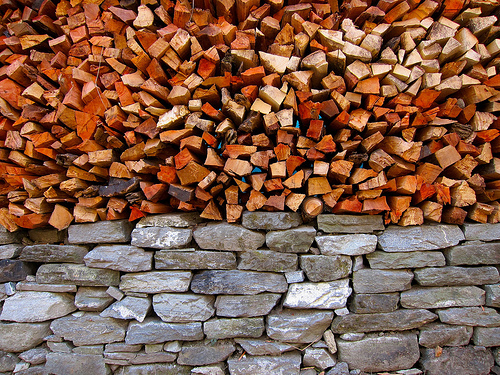 But, what most people don’t do is build a fire that can improve their heat efficiency. Traditionally, a fire is built on a metal grate by stacking three or more logs with their sides facing the fireplace opening. Kindling or the gas line is ignited underneath the logs and near the back wall. What makes this an inefficient way to build a fire is the fact that the wood blocks the blaze and prevents the warmth from reaching the room you want to heat.